Dancehall producer Andre "Silence" Dixon of Extreme Chaos Music is this week officially releasing his brand new riddim compilation entitled "Massacre ". The riddim which has a total of 7 tracks features upcoming artists Wasp and Colly C alongside dancehall newcomers Stumpa, Sense, Madd One, Kelo Cole and Krushal. According to "Silence" who is based in the U.S, his Massacre Riddim represents the lead out project for 2011. "For the new year I want people to become more familiar with Extreme Chaos Music so the plan is to do alot more recordings and promoting. 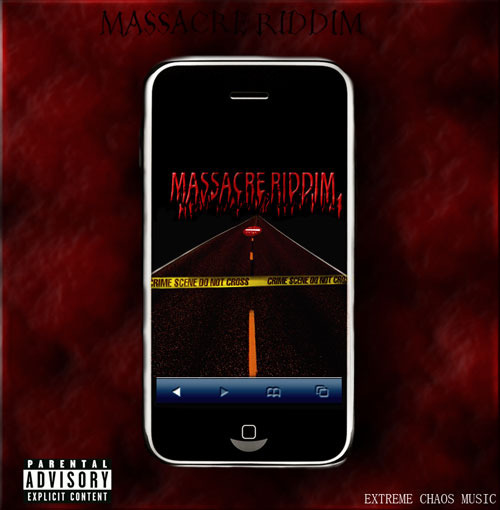 Massacre is a riddim I composed 3 years ago while doing some work with a Jamaican Rap Group out of New Jersey called Jamballaz, I did a couple beats with them and we end up not using Massacre so last year I decided it was time to records someone else on it". While Massacre appeals to the dancehall market "Silence" is also promoting his one drop reggae singles with Colly C entitled Mirage for which a video will be premiered in a few days. Once a studio engineer for New York based Producer Phillip Smart "Silence" is now looking to use his past experiences of working with dancehall stars Shabba Ranks and Wayne Wonder to spawn the next generation of hit makers. Purchase Massacre Riddim .